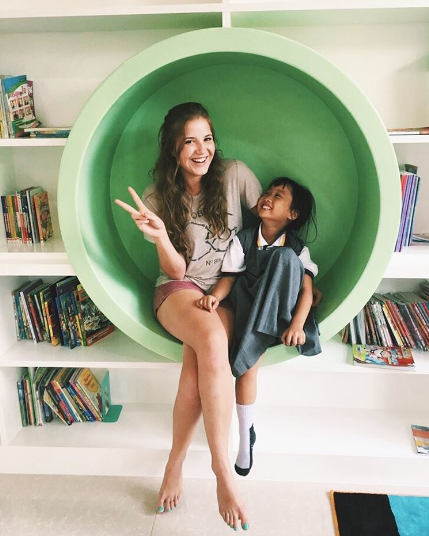 I had the opportunity to volunteer in Thailand and I miss it like crazy ... years later! 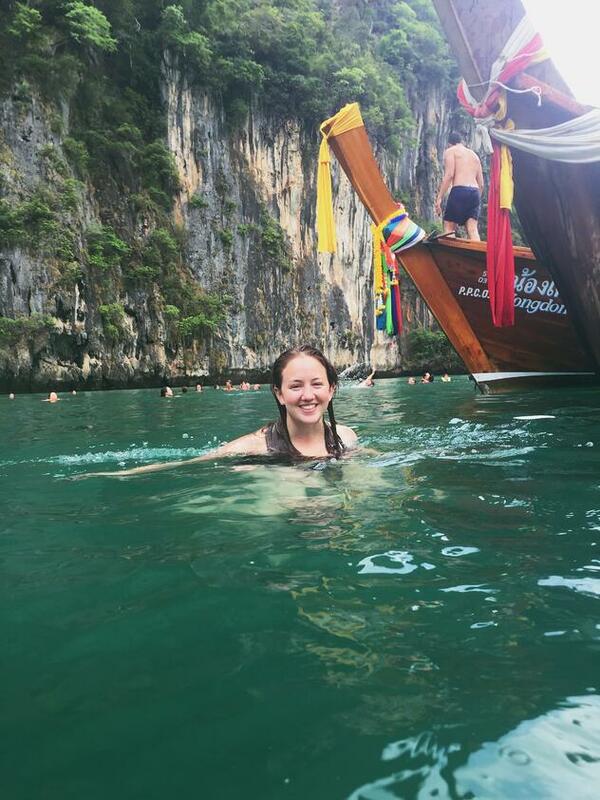 After living in Thailand for four months, I've got some tips for you. First off, you really can't see this beautiful country in just a week. Tourists flock to Thailand because it's incredibly beautiful, but I'm so glad that I chose to do a semester abroad there with ILP. 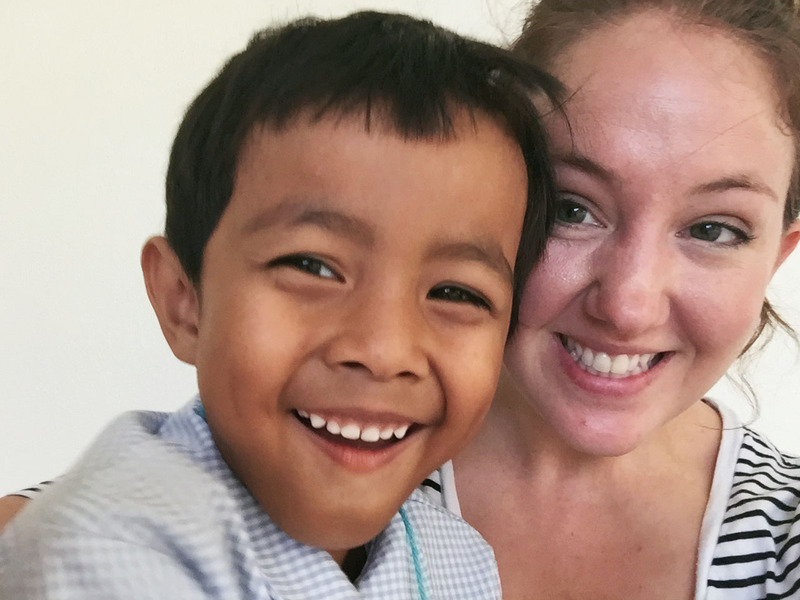 On my semester I was able to teach English in Thailand to the most adorable children ever. I also had plenty of vacation time to see just about everything I wanted to see in Thailand. Plus, my Thai friends took me to the places that all the tourists don't know about. Now that I've really seen the country, I can't even image someone only spending a week there. It's just not enough! 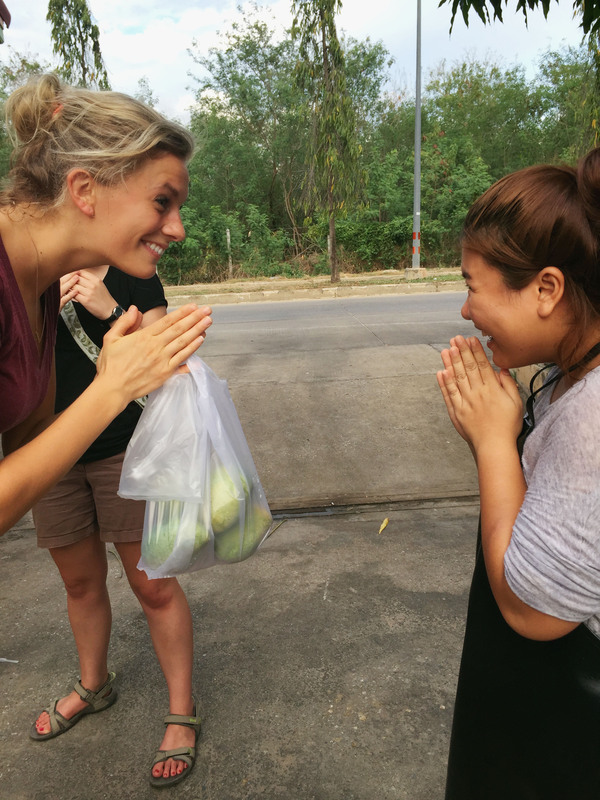 Here's everything you need to know about volunteering in Thailand with ILP. I've traveled to a lot of places where the only way I could communicate with the local people was via charades because I didn't speak their language and they didn't speak mine. But in Thailand I was so surprised by how many people speak basic to really fluent English. So, that means...don't be shy! Say hello to the locals. The people are incredibly friendly and want to talk to you. They might be nervous or self concious thinking their English isn't that great, but honestly if you are open and outgoing, you'll find so many opportunities to meet friendly Thai strangers. I know I just said everyone speaks English, but that doesn't mean you shouldn't try to learn some Thai. You're in their country, so be courteous! They see so many tourists coming through their country and I'm sure those tourists aren't always the most gracious. You can be the one to give them a good impression of Americans/Canadians. Download a free app that helps you learn how to say hello, goodbye, and thank you. ILP has a blog post about a few basic Thai phrases that are good to know but you you can also find basic phrase tutorials on Youtube. A tiny bit of effort will go far — plus it's much easier to learn a language while living in a foreign country because you get to practice all of the time. It is so humid in Thailand! Literally, you will walk out of your bedroom and be dripping with sweat within minutes. Just don't worry about your hair and makeup and go for the natural look. Confession...I still used waterproof mascara all the time. That and tinted chapstick were my go to staples. If you want souvenirs you have to go to the markets in Chiang Mai. Yep, you'll find thing to buy in the Thai Islands but it'll be three times the price than the same things in Chiang Mai. There's a huge outdoor market in Bangkok called Chatuchak, and there's also some fun night markets in Phitsanulok (which is where a lot of our ILP volunteers live), but my favorite shopping was in Chiang Mai. There's both a Saturday and a Sunday night market every weekend in Chiang Mai, with stalls full of the cheapest things to buy in Thailand. Wooden elephants, Thai clothing, beautiful bags, tapestries — it's all there. Head's up: The weekend market runs on Saturday and Sunday but I think the Sunday market is when the really when the great vendors came out. 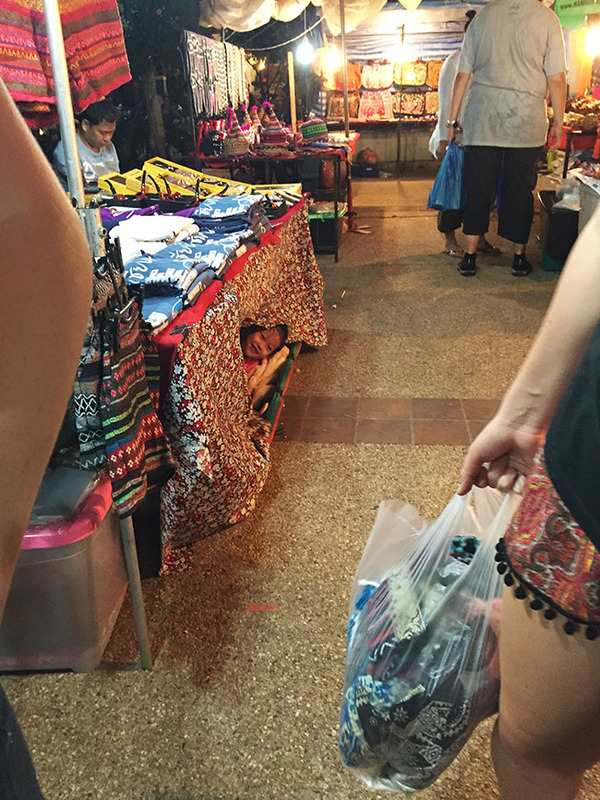 Can you spot the little girl hiding in her mom's booth at the Thai market? Normally I'm the very first person to avoid a guided tour...but in Thailand they're actually great! You're going to be able to get away from the hoards of tourists and get to see places you wouldn't find on your own. In the Islands you'll see signs everywhere for group tours offering snorkling and boat trips to other islands. You can wait until you get there and usually just sign up to join a group the following day. In any other city though (Bangkok and Chiang Mai) I definitely recommend doing your research online ahead of time. There will be so many options for tours, but the best ones fill up ahead of time. 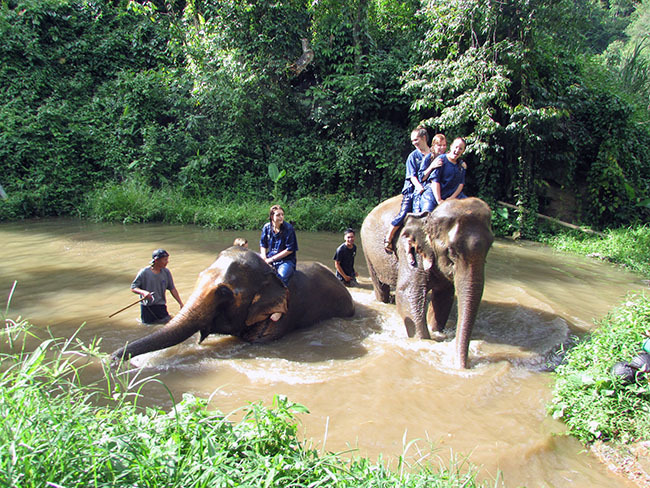 Past ILP groups have really loved Baan Chang and Ran Tong Rescue tours. My group took an overnight tour up into the mountains with Baan Chang and it was an experience to remember. If you want to interact with elephants, I totally recommend splurging here. The cheaper tours are notorious for not treating their animals well and honestly you're likely not going to get the magical experience you're dreaming of. Riding elephants in Thailand is something I'll always remember. Here's how to pick out the best Elephant Parks! There's so many times that you're doing activities in the water and you'll want to keep those memories. Also, if you're in Thailand from April to August, you'll be there during the rainy season and it's nice to be able to protect your phone when you're on the go and a huge rain storm comes passing through. I didn't have the funds for a GoPro (although I would have loved to have one! ), so I did some research and found out that you can buy REALLY affordable cases for your iPhone. I bought one from Joto on Amazon for just $8 and it worked like a charm. I'm so glad I brought that otherwise I wouldn't have all my awesome photos of playing with elephants in the water or the one below. The Thai government has added a fee to every ATM that currently amounts to about $5 USD. Also, a lot of banks and credit unions have a fee for using their card internationally, so that means every time you withdraw cash from an ATM (which is the best way to make purchases) you could be paying around $5-$10 in fees. Ouch. But, there are ways to make it cheaper. You can withdraw the maximum amount each time you're at an ATM — there is a limit, so you can't pull out enough for your whole semester abroad, but you can cut down the number of times you visit the ATM. You can also make sure you're using a bank that has low fees. Click here for more help with that. Also, did you know there are banks that have ZERO ATM fees? Yep! I read this post about a couple who used Charles Schwab and they raved about their customer service. So, I signed up for a Charles Schwab checking account. I'm so glad I did! The way it works is that you'll be charged the ATM fee that Thailand gives you, but then at the end of every month they refund those ATM fees back directly into your checking account. I got about $30 in refunds every month! Just a little tip that you'll quickly pick up, strangers will greet you out of respect! What they do is put their hands in prayer position close to their face and give you a little bow. I absolutely love how respectful they are. If someone bows to you, do it back. That's a good rule of thumb. Just a little bit of knowlege for you, the lower you bow the more respect is given so you'll see this same sort of gestures for monks but typically they'll do it from their knees as a way to show more respect to them. Enjoy it! I can't even tell you enough how much I love that country. The food is great. The people are great. The prices are great. The culture is great. The land is great. Ahhhhh Thailand. I love you. Like I mentioned before, you're doing a serious diservice to yourself if you don't spend a significant amount of time there. 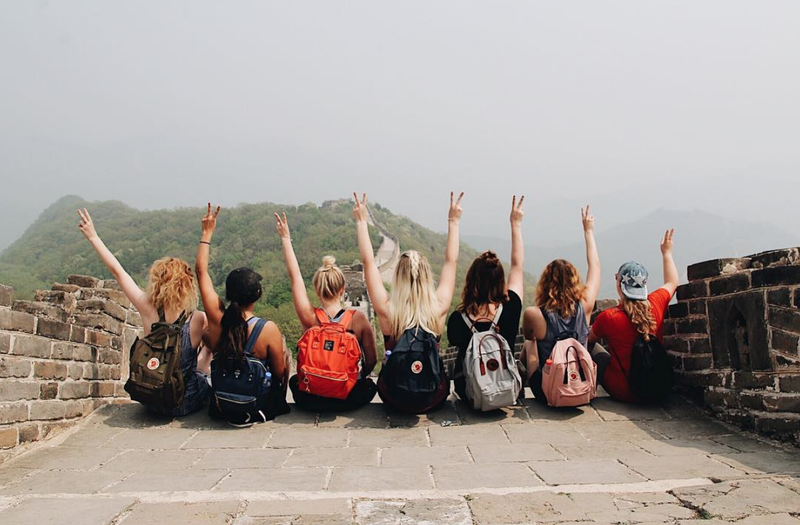 Do a semester abroad with International Language Programs! 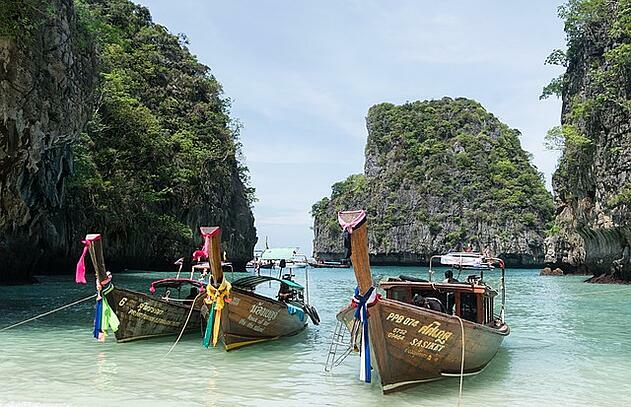 We even have opportunities where you can get paid to teach in Thailand.